What is the function of the Angle valve? 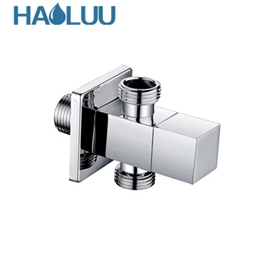 We often use corner valves in bathroom and kitchen decoration.What is the function of the Angle valve?It's small in size, but it does a lot of good.For example the installation of faucet, closestool, water heater needs to use horn valve, horn valve can join conduit of conduit of conduit, still can control the size that adjusts water pressure, let us use water to become more convenient.That home installs how many horn valve to need? 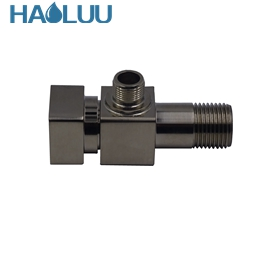 Because its volume is lesser, it is to install the metope that has ceramic tile to go up normally, such we are in when using, just can be more convenient, can facilitate us close enter and exit water.Angle valve needs to be used in the installation such as faucet, closestool, water heater normally, it can have the effect that joins interface of conduit inside and outside.Angle valve can effectively control the flow of water, to a certain extent, can play the role of water saving. It can adjust water pressure effectively, if appear in the home water pressure is not steady, water pressure is too big circumstance, that it can prevent the water inside closestool to become overlarge and appear as a result of water pressure blowout phenomenon, also can avoid sealing gasket to cause the phenomenon that leak because of breakage.And the Angle valve can play a role in convenient maintenance, but also to facilitate future maintenance and replacement of the hose.If the home bibcock appears the phenomenon such as leaky, we need to turn off triangular valve only, need not close the main valve in the home. It is installed in the home besides use commonly besides, what it USES in tooling is more frequent also, and applicable limits is wide also.The use of Angle valve can effectively eliminate noise, so that we have a good experience in the use of water.Because the Angle valve has no water hammer, no noise, reliable sealing performance and other characteristics, the general pneumatic Angle valve will be widely used in printing and weaving, printing and dyeing, bleaching, food, washing, chemical industry, water treatment, medicine and other automatic mechanical equipment installation.